If a baby raccoon has its eyes closed and you cannot locate its den, it will also need our help. If you find a baby raccoon of any age that is out during the day time and is very easy to catch by hand, it probably has been orphaned and will need our help. Please get it to NWRI for evaluation. If you find a den of baby raccoons (in your chimney, eaves, or elsewhere), and the mother is with them, DO NOT remove the babies from their den. Instead, click here and follow the instructions to encourage the raccoon to move out of your home, using a radio and coyote urine. Give the mother raccoon at least 48 hours to move all of her babies out of your house and to another den. Next, follow the instructions to prevent her, or any other animal, from moving back in. One way you can tell if the mom is still with the babies is if they are generally quiet throughout the day and night. They will make some noise when they are talking to their mom and each other, but will mostly sleep. 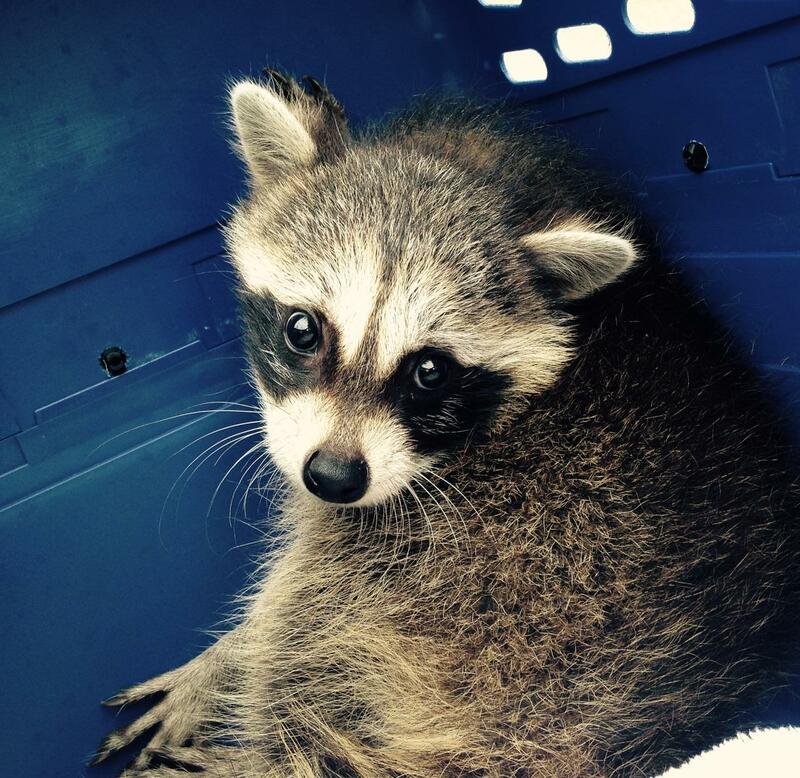 If you hear wailing from the baby raccoons for long hours at a time, they might be orphaned. Please contact us with questions.